When he issued his final government “Wastebook” this week, Sen. Tom Coburn (R-OK) offered a valedictory of sorts on his long career on Capitol Hill – and a troubling and damning assessment of the Congress and administration he is leaving behind. Amid the increasing global “disarray” and “chaos,” shocking security breaches at the White House and the first signs of Ebola on our shores, “the leadership in our nation’s Capital is ever more distant, disconnected and absent,” he wrote. 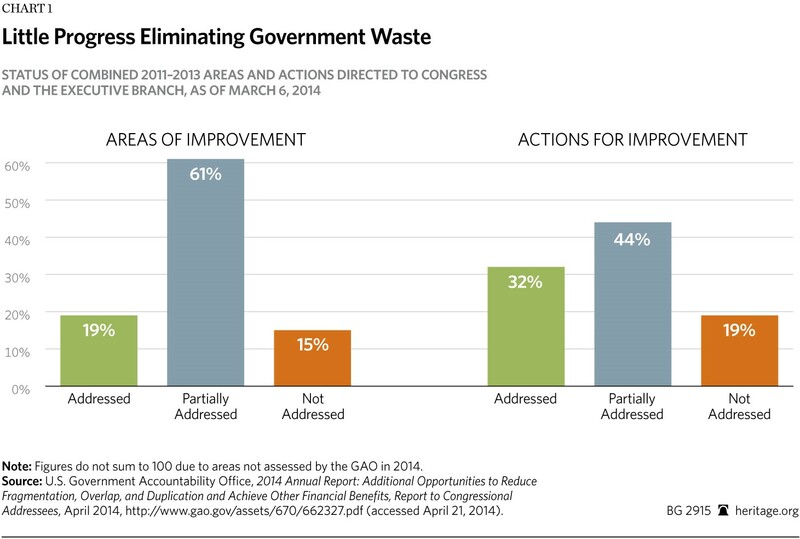 “The current Congress is on track to be one of the least productive in 60 years,” Coburn added in a scathing introduction to his popular annual guide to the 100 most wasteful government programs. “While a ‘lame duck’ session is scheduled, the harsh reality is the last two entire years were an extended ‘lame duck,’ producing little meaningful results. Much like Congress, thousands of federal employees “who weren’t doing their jobs properly have been sent home and paid to do nothing – many for years!” he said in citing a new Government Accountability Office report showing that over the past three years federal agencies paid $3.1 billion for workers on administrative leave. Coburn, arguably the foremost fiscal conservative in Washington, announced in January that he would retire from Congress early next year because of health issues. The 66-year-old Coburn has been suffering from a recurrence of prostate cancer and will leave long before his current term expires in early 2017. For the past 20 years, Coburn has represented “the ideological moral high ground for conservatives,” according to The Washington Post. He has been a high profile critic and scold who believes fervently in the role of a "citizen legislator” who spends just enough time in Washington to shake things up and achieve reforms before returning home. Coburn won’t necessarily be missed by some liberal Democrats or conservative Tea Party adherents with whom he clashed on spending and tax policy. Dubbed by some the “godfather of the modern conservative movement,” Coburn was first elected to the House in 1994 as part of the Republican Revolution led by former Speaker Newt Gingrich and former Majority Leader Richard K. Armey. The Oklahoma family doctor who delivered thousands of babies throughout his medical career was both a fiscal and social conservative. He was an unyielding and obsessive in fighting abortion as he was in combatting government spending and pork barrel projects that were targeted to lawmakers’ home districts and states. Unlike many of his fellow House revolutionaries from the 1994 election, Coburn kept his pledge to observe term limits – and left Congress after the 2000 election. But when Republican Oklahoma senator Don Nickles announced his retirement in 2004, Coburn ran and won the open seat. Coburn arrived in the Senate with a reputation as a gadfly and political bomb thrower – and he wasted little time in making his presence felt. He quickly learned the rules of the Senate and used them effectively to tie up popular legislation that Coburn deemed wasteful or not to his liking. By his own reckoning, he saved the taxpayers billions of dollars, even as he made enemies on Capitol Hill of those who had championed the spending. But over time, many of his colleagues came to appreciate Coburn’s trenchant intellect and thoughtful analysis – and his willingness to work with lawmakers across the aisle. He teamed up with then-Democratic Senator Barack Obama of Illinois and Republican Sen. John McCain of Arizona to pass the Federal Funding and Accountability and Transparency Act in 2006 which obliged the Office of Management and Budget to regularly post spending activities on the Internet. His final “Wastebook” cites what Coburn describes as 100 “silly, unnecessary and low priority projects” that tally up to $25 billion. His introduction sums up his frustration with the political process in Washington while almost wistfully saying he won’t be around in the future to try to keep a lid on spending. Who’s More Generous, Liberals or Conservatives?